HARTFORD – House and Senate Republicans today shared a state budget proposal that closes the current projected state deficit over the next two years without new taxes and without pushing state expenses onto towns, cities or hospitals. 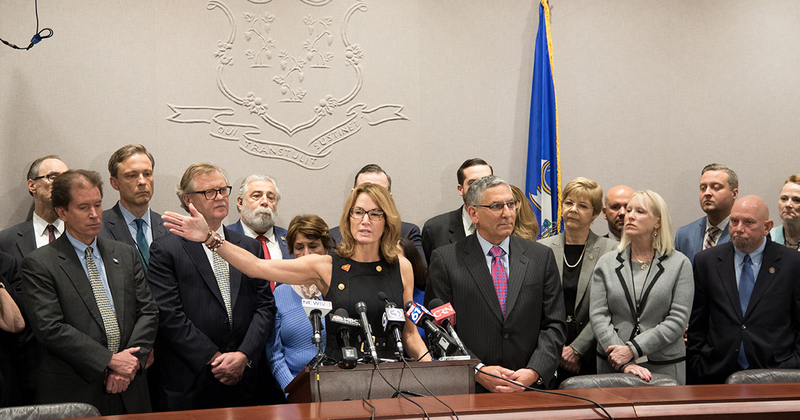 The “Confident Connecticut” budget includes increased education funding with a new funding formula, restores money for core social services, and provides for significant structural changes to state government that roll out into the future. “By creating stability for our state we can encourage confidence. With confidence comes jobs and economic growth. And with a healthy economy, comes a government that can invest in core services to make our state a better place for generations to come,” Representative Melissa Ziobron (R- East Haddam), ranking member of the Appropriations Committee.